The library has 14 Internet computers available for public use, along with a 10-minute-only Express computer, a Genealogy station, and three Word Processing/Office stations. You can sign up for a computer at the kiosk near the Reference Desk. You do not need to have a library card, and there is no charge to use the computers. All computers are available on a first-come, first-served basis. There is no limit to the number of computer sessions. If you are running out of time and other computers are available, please ask at the Reference Desk for a time extension. Sessions cannot be extended when other patrons are waiting, but you can sign up for the waiting list. All computers are running Windows 7. Internet and Word Processing computers include Microsoft Word 2007, Excel 2007, and PowerPoint 2007. The Word Processing computers also include Publisher 2007 and Resume Builder. You can print from the public computers. Black & white prints are 15 cents per page; color prints are 30 cents per page. We do not offer printing via Wi-Fi at this time. Scanners are available to use with any public computer. There is no charge for scanning. Please ask at the Reference Desk for assistance with scanning. The computers do not have speakers, but you are welcome to bring headphones with you if you need sound. 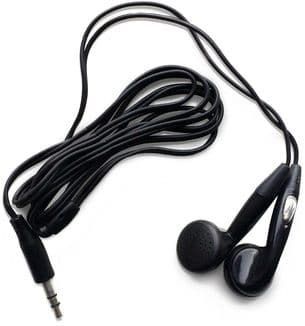 We also sell earbuds for $1.00. You can purchase earbuds at the Reference or Circulation desks. You can save your work using a flash drive or other USB storage device. You can purchase a flash drive at the Reference Desk for $7.00, or bring your own flash drive with you. We have SD/miniSD/microSD adapters available at the Reference Desk if you wish to save to an SD-style card. We do not sell SD cards; please bring your own card if you wish to save to SD. 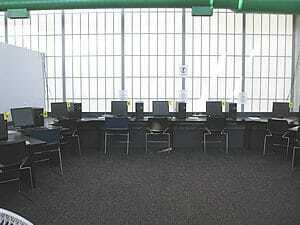 The library offers free Wi-Fi for use within the building.